When cinched snug against the low back you all but forget the Palos 4 LR waist pack is there (click to enlarge). Editor’s Note: This article is part of the Mtbr Guide to hydration packs, featuring the new CamelBak Low Rider line. 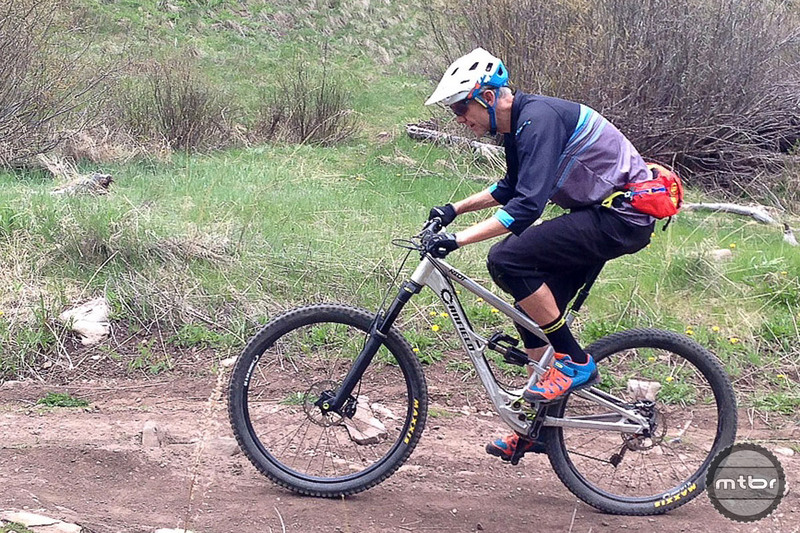 To see all the articles, head over to the Low Rider hydration pack hub page. Quick history lesson: A few weeks back while sitting in the living room of Dave Wiens for this interview, his wife Susan walked through on her way out the door for a ride. For those who don’t know, Mrs. Wiens is Susan DeMattei, former World Cup cross-country racer, mountain bike hall of famer, and bronze medalist at the 1996 Atlanta Olympics. Around her waist was what most of us would refer to as a fanny pack. DeMattei informed us that the somewhat hippie-looking piece of apparel had been a gift from another former XC great, Jacquie Phelan, and it was one of her favorites pieces of riding gear. Indeed, that’s how far back the use of waist packs for mountain biking goes. But I honestly chuckled a little inside my head. Whether strolling the streets of Paris, or riding Gunnison, Colorado’s Hartman Rocks, the fanny pack is not exactly the symbol of contemporary cool. After about a month of testing the CamelBak Palos 4 LR waist pack, though, my mind has been changed. 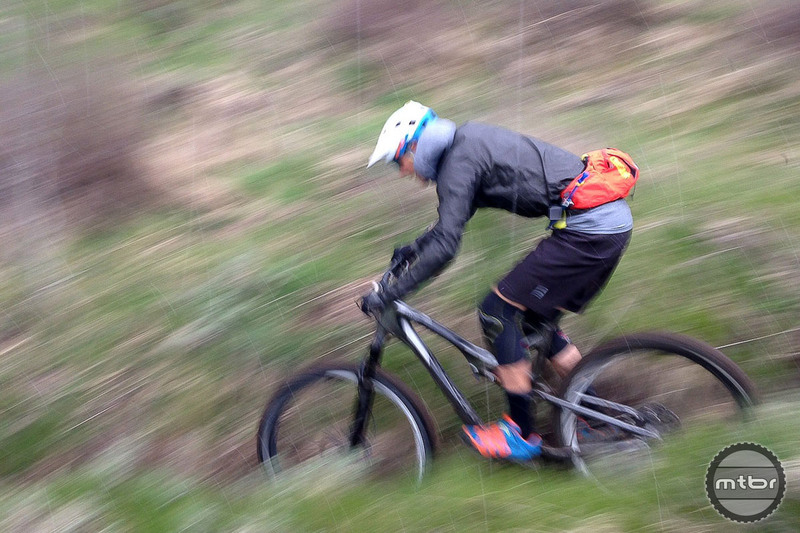 Say what you will about fashion implications, but when it comes to ripping around on mountain bikes they make a lot of sense. Read our full review below to learn more. 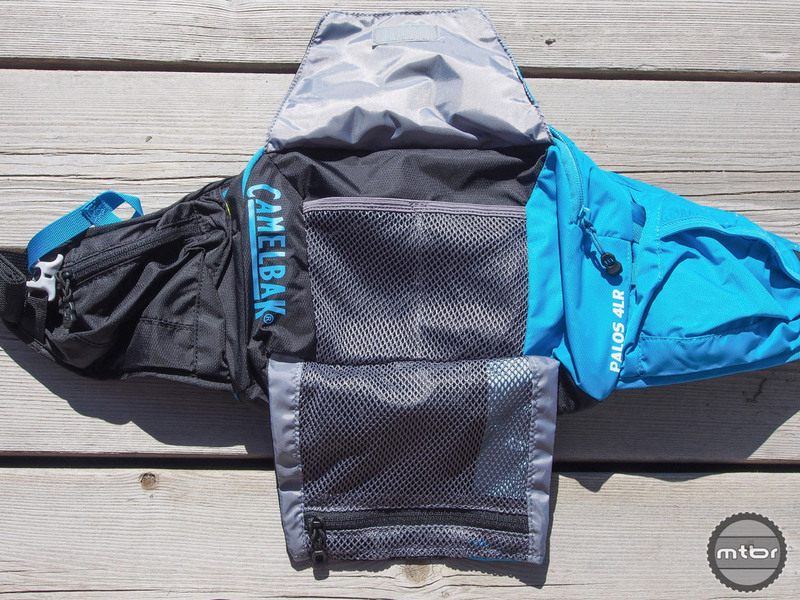 The premise of the CamelBak Palos 4 LR waist pack is fairly simple. By moving weight off your back, you’ll sweat less and have a lower center of gravity, which will improve the overall ride experience. Additionally, by incorporating a 50oz bladder, it’s easier to stay hydrated because you wont have to fumble with pulling a water bottle out of a bottle cage or pack holster. The pack opens up to reveal smartly organized tool carrying pockets (click to enlarge). Truth is, no matter what you think about the cool factor of riding with a waist pack (or fanny pack, or bum bag), the Palos 4 LR is a sound idea that CamelBak has executed well. The bladder is large enough to meet the thirst requirements of most rides of 2 hours or less, while the 2.5 liters of thoughtfully organized storage provides adequate room for a spare tube, hand pump, multi tool, wind breaker, smartphone, and a bar or a couple of gels. It’s a revelation to climb without the weight (and heat) of a hydration pack on your back or shoulders (click to enlarge). i have the same waist pack. i bought it in march 2016 and have been using it. I am not at all pleased with the pack, it loosens up each time when i ride, even at small bumps and hangs loose. this is very irritating and the position of the bite valve retainer seems to be a joke on the trails as you rightly mentioned that one has to look down. i tried using velcros to roll up the loose straps to avoid the loosening however due to the weight it would cringe and become loose again and bounce all over. Theres one difference which i observed, the buckle on your pack is black whereas in mine it is grey. i have written to camelbak about my observations, however, to no avail. Interesting that Camelbak is now making a waist pack. I had a no-name brand that I bought in Switzerland back in ’98 and used for years both biking and running. I didn’t have the need for a lot of water and didn’t want something on my back. It was no where near a sophisticated as the Camelbak, but functional none the less. It also tended to bounce a bit when completely full of water. I guess that is the nature of only having it around your waist. I also bought this pack back in March of 2016. I don’t have huge issues with it bouncing – though there is some, particularly on bigger hits. My biggest issue is this whole talk about it helping you keep a “low center of gravity.” My experience is that you now have weight hanging off the back pulling away from center. Imagine being in attack position on the bike… with the backpack-style pack, the weight is always pressing down through the bottom bracket as you adjust your torso. But with the “waist” pack, it’s always pulling off center, toward the rear of the bike. This makes moving the back wheel feel more difficult to me. Bought this in July of 2016. Used it for the first time recently. Absolutely HATE it. Bounces, tugs the gut when full, very uncomfortable!! Still have my CB Bandido from ages ago, going to test it out to see if the bladder is still ok (hard to find a Palos replacement bladder online!). Same design but with a single adjustable shoulder sling to minimize the bouncing that people apparently hate in this reinvention of decades old tech!